Send a Friend a FREE Secret Rewards Card, worth up to $500! Send a friend a FREE secret reward! It is worth $10, $20, $50, $100 or $500 off a Victoria's Secret purchase of $10 or more thru April 27th! Or CLICK HERE....The Site is running VERY SLOW! 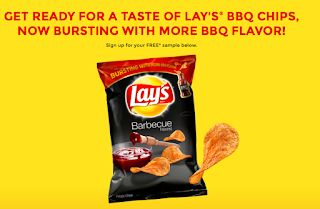 While waiting for the Victoria Secret's website why not get your free bag of Lay's chips!